A resolution proposed by 18 Arab member states, expressing concern about Israel's nuclear arsenal was defeated again, on Thursday, at the annual general conference of the UN's International Atomic Energy Agency (IAEA). According to AFP, the measure was rejected by 58 votes to 45, with 27 countries abstaining. 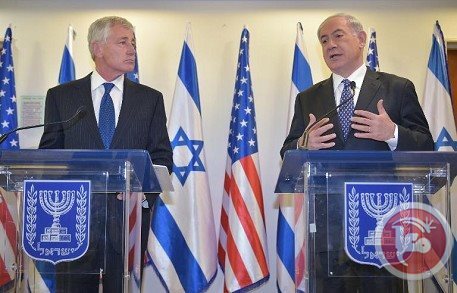 Israel is widely reputed to stockpile nuclear weapons, on several accounts, but has never acknowledged the allegations. The state is a member of the IAEA but is not subject to their inspections, save in a small research facility. 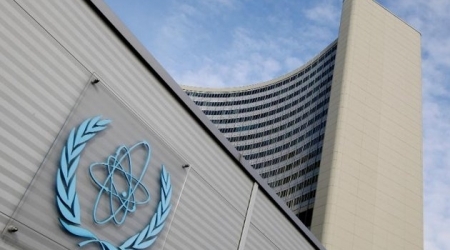 The resolution proposal, which has been rejected on previous occasions, expressed "concerns about Israeli nuclear capabilities" and urged Israel to join the Treaty on the Non-Proliferation of Nuclear Weapons (NPT) and place all of its nuclear facilities under IAEA supervision. Furthermore, in 2009, the same resolution was narrowly approved by IAEA members but was never followed up, AFP reports. Arab member states accuse Western countries of double standards, in regard to the issue of nuclear weapons, by not demanding Israeli activities be put under IAEA supervision, while at the same time forcing Iran to honour its obligations under the NPT. Tehran is alleged, by the West, of seeking to develop nuclear weapons. Though it denies the claim, Iran and world powers are in talks to reach a comprehensive nuclear deal by November 24. The prime ministers of Japan and Israel compared notes Monday about living near countries with suspected illicit nuclear weapons programs. Benjamin Netanyahu, on the second day of a five-day trip to Japan, said the international community should keep up pressure on Iran, which the West suspects of trying to develop atomic bombs. In a joint statement released with his Japanese counterpart Shinzo Abe, the two men also "expressed their strong hope for the early resolution of various issues of concerns regarding North Korea, including its nuclear development". "The same words -- 'clear and present danger' -- certainly apply to the Iranian nuclear program as well," he said. "Like North Korea before it, Iran wants to keep its military capabilities, military nuclear capabilities while easing the sanctions that are applied to it. "We cannot let the ayatollahs win," Netanyahu said. Netanyahu and Abe also "confirmed the necessity of cooperation in the field of cyber-security and... affirmed the importance of bilateral defense cooperation," according to the statement. "They concurred with the visit of officers of the Japan Self-Defense Forces to Israel." Under the current constitution the Japanese military can only fire if fired upon, but Abe would like to expand the scope of their activities to include so-called "collective self-defense." The issue is controversial in Japan where the post-World War II commitment to pacifism runs deep. 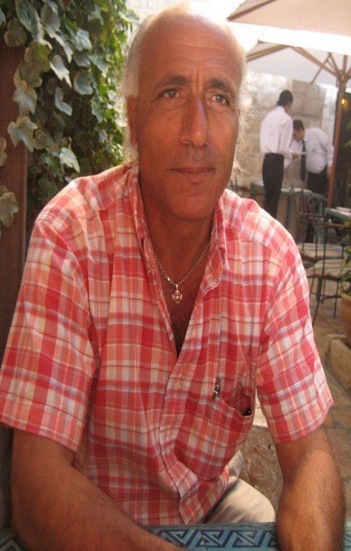 Negotiations collapsed last month after two opposing Palestinian factions buried the hatchet, ending years of bitter rivalry but angering Israel which refuses to talk to the hardline Hamas. Iran will not accept "nuclear apartheid" but is willing to offer more transparency over its atomic activities, President Hassan Rouhani said on Sunday ahead of new talks with world powers. 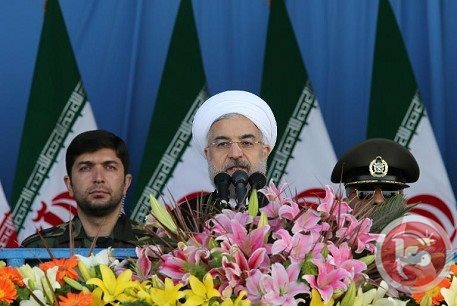 Iran and the P5+1 group of nations will start hammering out a draft accord Tuesday aimed at ending a decade-long stand-off over suspicions that the Islamic republic is concealing military objectives. "We have nothing to put on the table and offer to them but transparency. That's it. Our nuclear technology is not up for negotiation," Rouhani, referring to the West, said in remarks broadcast on state television. "Iran will not retreat one step in the field of nuclear technology ... we will not accept nuclear apartheid," he said. The self-declared moderate president has faced a battle from domestic critics of his diplomatic outreach since taking power last August. Hardliners accuse Rouhani of making concessions for little gain under talks that have started to reverse the political isolation Iran grappled with under his hardline predecessor Mahmoud Ahmadinejad. Other skeptics of the nuclear talks, including members of the US Congress, doubt Rouhani's sincerity in seeking a lasting agreement. The world's leading powers have long suspected that Iran is developing the capability to build an atomic bomb, an allegation Tehran has repeatedly denied. "We want to tell the world they cannot belittle the Iranian nation; they have to respect it," Rouhani said on Sunday. Iran has suffered years of economic hardship exacerbated by international sanctions designed to coerce Tehran into curbing its nuclear work. A potential deal under discussion between Iranian negotiators and counterparts from the United States, Britain, France, China and Russia plus Germany -- under the P5+1 grouping -- this week will focus on the scope of Iran's nuclear activities. Such an agreement will aim to render Iran incapable of making any push toward atomic weapons while also removing the sanctions. The negotiators have a July 20 deadline, set by an interim deal reached in November that put temporary limits on Iran's nuclear activities in exchange for modest sanctions relief. Iran's supreme leader Ayatollah Ali Khamenei, meanwhile, said Sunday problems such as the sanctions should not be linked to the nuclear talks, the IRNA news agency reported. "Officials should address the question of sanctions by other means," he added, speaking at an exhibition about Iran's military capabilities organised by the powerful Revolutionary Guards. He added that Iran will not limit its ballistic missile program as the United States, Israel and some European countries have demanded. "The US and European countries call for Iran to limit its ballistic program while continually making military threats. Such an expectation is therefore stupid," he said. Tehran has developed an extensive ballistic missile program, with some weapons capable of hitting targets 1,200 miles away, putting Israel and US regional bases within range. Israeli Prime Minister Benjamin Netanyahu arrived in Tokyo Sunday for a summit with his Japanese counterpart Shinzo Abe at which he is expected to raise the Iranian nuclear talks and economic cooperation. 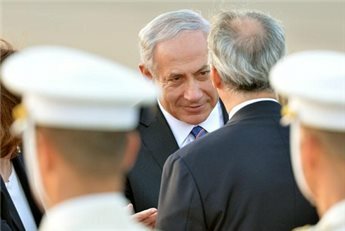 Netanyahu is likely to press Japan to side with Israel over nuclear talks between Iran and six world powers when he meets Abe Monday afternoon, the Asahi Shimbun reported. Iran and the five permanent members of the UN Security Council plus Germany will begin their talks in Vienna on Tuesday when they start drafting the text of a comprehensive and potentially historic deal. In a nutshell, such an accord would reduce the scale of Iran's atomic program so as to render any dash to make nuclear weapons extremely difficult and easily detectable. In return, all UN Security Council sanctions and additional unilateral sanctions targeting Iran's oil exports would be lifted. 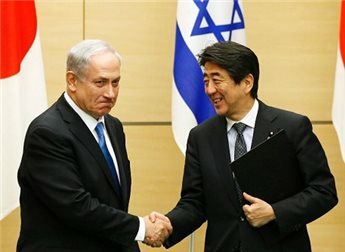 Netanyahu is likely to call on Abe to oppose the lifting of sanctions, reflecting Israel's position that nothing short of a total dismantling of Iran's nuclear program is acceptable, the Asahi said. Japan, which is heavily dependent on Middle Eastern oil, has maintained friendly relations with Iran through its years of ostracism, keeping up a diplomatic dialogue that many developed countries cut off decades ago. Along with China, India, and South Korea, Japan is among Iran's biggest oil export markets. The West and Israel have long suspected Iran is pursuing a nuclear weapons capability alongside its civilian program, something Tehran denies. But since President Hassan Rouhani took office in Iran in August, hopes have been raised of an end to the long-running crisis. A senior Israeli official told AFP in Jerusalem that the two sides would be discussing security issues from both regions. "As part of the political dialogue, we'll be sharing our concerns about the Iranian nuclear program, they have their own concerns about the North Korean program, I'm sure we have a lot in common," the official said. Abe and Netanyahu are also expected to agree to strengthen cooperation on countering cyber-attacks, Kyodo News reported, citing a government source. They are also likely to agree to hold a security dialogue at their level and to increase exchanges between their defense officials, it said. On the economic front, Netanyahu will likely to give a sales pitch for Israeli technologies as he will meet with Japanese business leaders on Tuesday, local media reported.